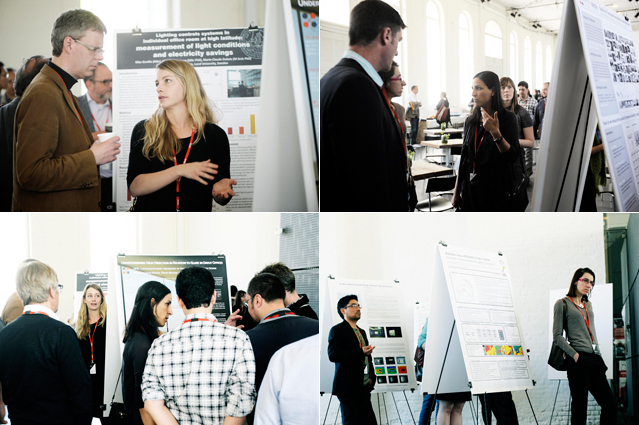 On 14 May 2013, PhD students met for the second time to focus on daylight, its effects on people and the environment. The students spent a day together with allocated experts/mentors and with sufficient time for sharing new ideas and methods, to review and discus and – most importantly – to meet fellow students and create a community among PhD students across Europe. Thanks to the students who attended, VELUX Daylight Academic Forum was, yet again, a great success! Since the first VELUX Daylight Academic Forum in 2011, other conferences and fora have been established – to ensure and strengthen the dialogue with the next generation of lighting researchers. “This adds to the ample reasons for optimism about lighting’s bright future in our buildings and communities, as an industry and as part of the fabric of society.” (J. Veitch, Lighting Res. Technol. 2011, 43, 4). ….When standing in front of the group and presenting the work, some of the comments both from other PhD students in the group and the experts seemed quite harsh – I felt, however, after digesting the comments that they all were eligible. ….As the only daylight-specific lighting conference, the VELUX Daylight Symposium unites a growing community of researchers and provides invaluable opportunities for the exchange of information, through both formal (presentations) and informal (social events) means. In addition to enriching conversations with my fellow PhD students, I was able to converse with experts whose work I have sited heavily over the years, making face-to-face connections that will help shape future academic collaborations. I look forward to this event in the coming years!